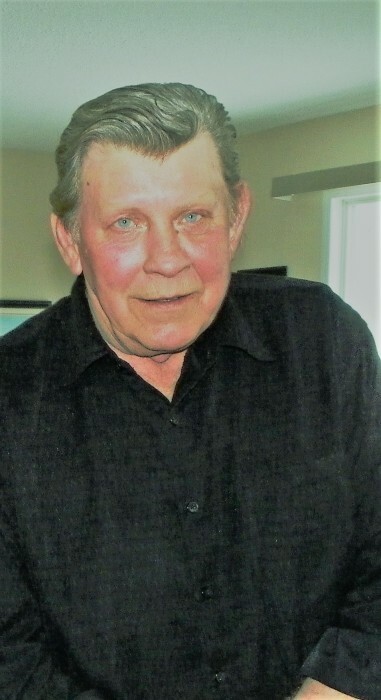 John Frederick Hokanson (March 21, 1949 ) passed peacefully away at Selkirk General Hospital one day short of his 70th birthday on March 20, 2019 from cancer. He was predeceased by his father Raymond John Hokanson and his sister Roxanne Lana. He leaves to mourn his passing his wife Wendy of 48 years, his sons John William (Nicole), James Earl (Donna), Corr Christopher and Josef Raymond, grandsons B.John, Wolfe, Noah, Owen and granddaughters Jessica, Hannah and Lauren and great-grandson Hayden. Also leaving to mourn are his mom Lena (Helen) sisters, Tanis, Venda (Wayne), Sharyn, Orlanda (Andy) and Dianna and brothers Bob (Denise), Lorne (Terry), Ray (Doris), as well as numerous nieces and nephews. John was a good husband, father, grandpa and great-grandpa. He was a good friend, a good teacher and a good coach. He cared deeply about his family and friends. If he was working at something, he spent his time gardening, fishing and hunting, playing cards, darts. He had a lifetime membership at the Selkirk Legion branch #42 and was the founder of the Selkirk Junior darts, running that program for 11 years. In keeping with his wishes, cremation has taken place and a come and go celebration of his life will be held on Tuesday, April 9 from 1-3 p.m. upstairs at the Royal Canadian Legion in Selkirk.